Corboy & Demetrio Co-founder Thomas Demetrio was named to the Top 10 List of IL Super Lawyers for 2016, ranking second in the entire state of out of more than 91,000 registered attorneys in Illinois. This is the sixth consecutive year Tom Demetrio was named to the Top 10 List, and he has been on the Top 100 IL Super Lawyers list since the award’s inception. The Top 10 List features only the best of the best attorneys in Illinois who have the highest point totals in the Super Lawyers selection process, according to the legal directory. “Achieving the ranking of second out of all lawyers in the state by IL Super Lawyers is quite an honor,”’ Thomas Demetrio said. 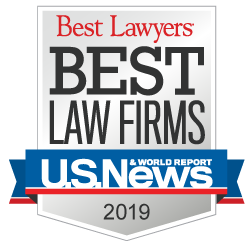 “And the fact that every partner at our firm was selected an IL Super Lawyer plus two of our associate attorneys reflects the hard work we collectively do for our clients,” he added. Corboy & Demetrio’s 2016 IL Super Lawyers include partners David R. Barry, Jr., Robert J. Bingle, Philip Harnett Corboy, Jr., Michael K. Demetrio, Thomas A. Demetrio, Daniel S. Kirschner, Kenneth T. Lumb, Francis Patrick Murphy, Susan J. Schwartz, Rene A. Torrado, Jr. and Edward G. Willer. Associate attorney Michelle M. Kohut was chosen as an IL Super Lawyer for the third consecutive year. Associate attorney William T. Gibbs was selected as an IL Super Lawyer for the first time.